We only leave Jesus because we were never committed to Him or were deceived, wanted to live our lives the way we want. Self idolatry -- it is the same and just what Satan wanted you serve and worship SELF but actuality this world. The FOOL has said in his heart there is no God. We have become blinded, caught up in lies by the god of this world You want to be hay and God says no, therefore He is wrong. No you are wrong. I is an abomination and God says you want your lust so He gives you a reprobate mind....the word of God is right. 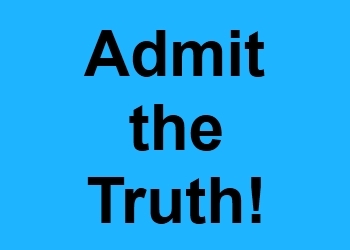 We are wrong, admit the truth even if you chose not to live it.